With a destination wedding, you will be able to extend the celebration. spend at least a few days with your friends and family making memories, rather than a quick five hours. Bonus: Using a roomblock and discounted group rate at your destination everyone can get a discounted vacation. What's more fun than some downtime to relax and connect with friends and family. Reception Setup: tables, chairs, linen tablecloths, dinner china, glassware, silverware, cake table, bar w/ linen, ect.. 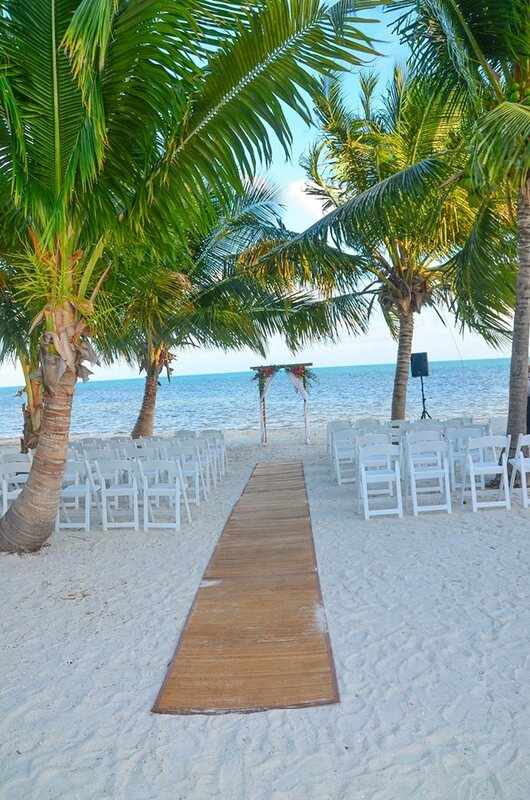 The Florida Keys Wedding Package is our most all inclusive package. Contact us at Caribbean Catering to hear more about our available packages or get a custom package designed just for you!